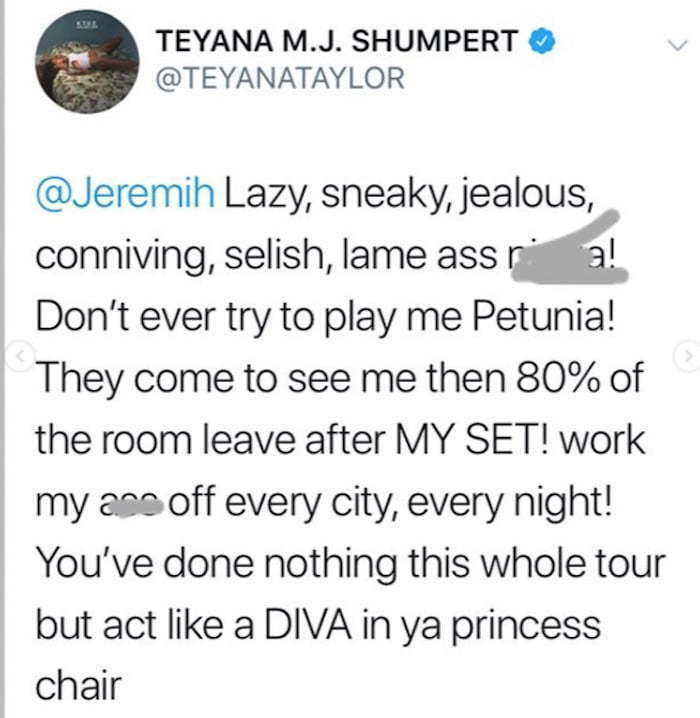 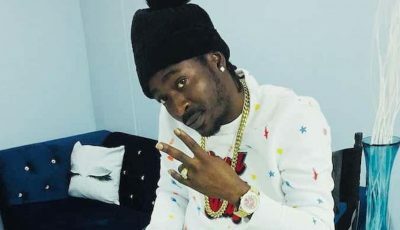 The singer/rapper offload on Twitter on Wednesday telling her fans that she has been “severely mistreated” on tour by Jeremih. 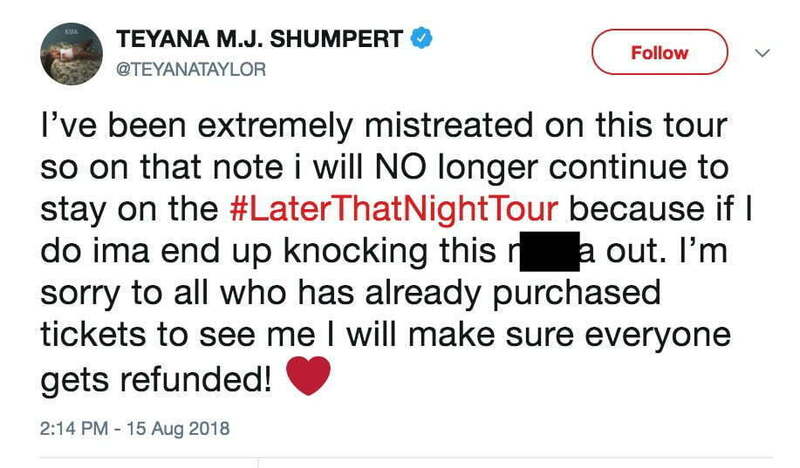 As a result, Teyana Taylor says she will no longer be a part of the tour and promised her fans that she would ensure that they get a refund. 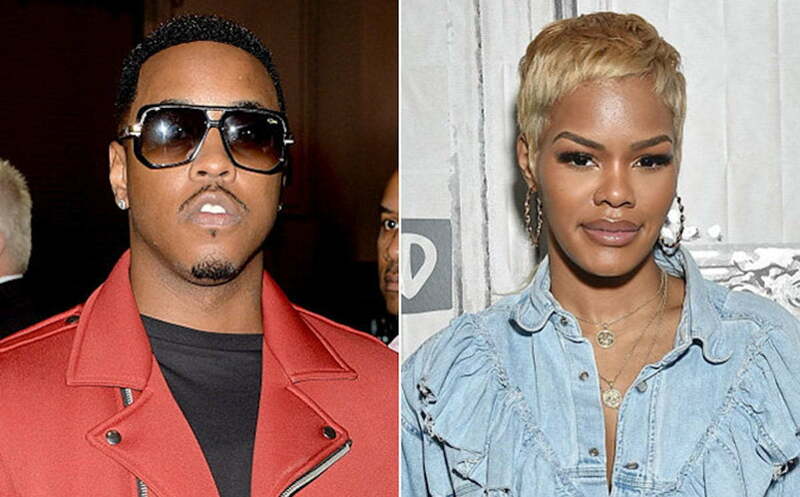 Perhaps it’s best since she might end up knocking Jeremih out.